Chicza chewing gums, who claim to be the first ones to manufacture biodegradable chewing gum ever sold, went on sale in Waitrose stores in Britain. It is organic and biodegradable chewing gum pitted against highly-adhesive chewing gums which get stuck on roads and streets making life tougher for the cleansing staffs and authorities. Chicza Rainforest Gum is manufactured in Mexico by Consorcio Chiclero. The raw material of the biodegradable gum is extracted from the sap of the chicozapote tree found in Mexican rain forest. 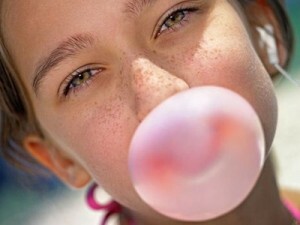 A chewing gum is made up of gum base of chicle, a natural latex product, or synthetic rubber. Most of the commercial gums constitute of rubber instead of chicle due to their taste and cost effectiveness. The other ingredients in a chewing gum include added flavors and sugar content. These added contents gets absorbed in our body on constant chewing of the gum. The launch of biodegradable chewing gum is being keenly watched by environmentalists abroad especially in Britain where 93% of the paving stones are spattered by adhesive chewing gum. Not to mention the waste of hundreds of million dollars of money that go into eradication procedures involved in removing these sticky non-biodegradable mess. The chicle has more recently been replaced by non-biodegradable petrochemical polymers which are more effective for commercial use and its sustenance viability. The stickiness of conventional chewing gums is due to use of elastomer solvents and other wax-like ingredients in the manufacturing processes. However, the biodegradable form of the gum becomes non-adhesive when dry and decomposes to dust within a little more than a month’s time period. Sixty-five percent of British streets have chewing gum stuck on them. Removing chewing gum litter costs local (London) authorities £150 million ($222 million) a year. In fact, British parliamentarians have called on the government to introduce a tax on chewing gum, with the money raised going toward the cost of gum removal. The Chicza gum sells for £1.39 ($2.06) for a pack of 12 squares. With increasing concerns on ecology and environment, it is lot more desirable to have increased consumption of biodegradable chewing gums that exhibit reduced stickiness and are easily detachable from the road side pavements. The ultimate solution remains with the people to ensure appropriate disposal of the gum in the bin or even a tissue paper as a temporary measure.